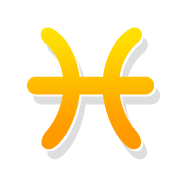 Free weekly horoscope for Pisces star sign, for the week 22 Apr - 28 Apr Read on to find out how this week’s astrology aspects will affect you, in matters of love, career and more. Dear Pisces, your life balance is very important to you and your choices will try to take you towards that direction. You will seek a harmonious coexistence with the people around you. In order to feel well inside, you will need to be well with the people who surround you at home, at work and in your daily life. Do the things that fulfill you and don't preoccupy yourself with the noise around you. Set your own goals and fight for them. You most definitely have the passion and strength to get where you want to be. These days will give you the chance to have a good time with your partner, as long as you clarify issues that put distance between the two of you. You have the peace of mind to achieve that. The results will reward you and will improve your relationship. If you are single, use the weekend to go out, have fun, socialize with people and charm everyone with your presence. This week is ideal for the closing of new deals and the improvement of your collaborations. Make the necessary moves that will improve your status and your role at work. In your finances, even if you are facing serious problems, you will manage to come up with a plan and improve your situation. However, refrain from overspending, during the weekend. Limited time offer: Get your FREE personalised Love Reading to get a glimpse of the major changes coming in your personal life! Text HF [space] and your date of birth, send it to 78887 now and you will receive 2 FREE messages with your Pluto Retrograde love reading! ♓ Get now more details about the impact of the planets this week, based on your ➳ Weekly Horoscope.